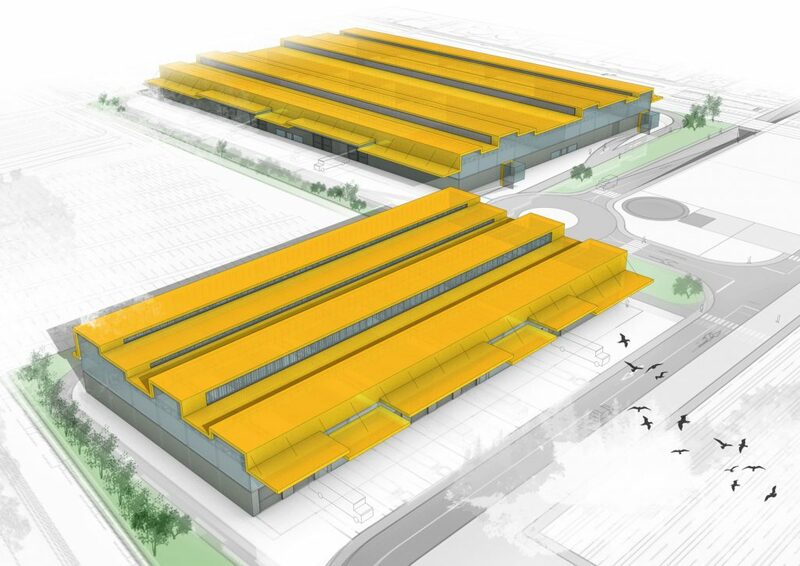 We won the request for bids for the competition for the technical design to build several warehouses in Valladolid. The competition was announced by the Castilla & León funding, innovation, and international business. That means that we will be designed as the architects for the technical design for warehouses B, C, and D at the automotive industrial park. Our proposal creates several buildings with a single image that wants to avoid the typical saw-tooth roof to create a singular image that is still recognizable as industrial.